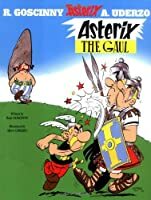 When a Roman Centurion discovers the secret of Getafix's magic potion, Asterix has to intervene to save his druid friend. Simultaneous. So funny. Love to read them in French one day. Not bad, I enjoyed it although it isn't really my normal choice of book to read. A wonderful comic series, enjoyable for all ages. Full of action, adventure, and all the wild boar you could ever need.